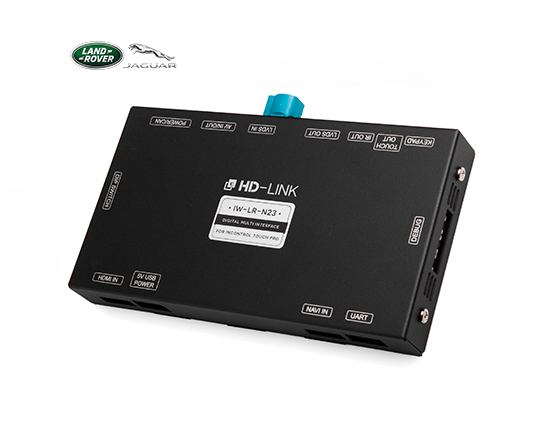 Provide the HDMI input (HDMI device), LVDS-NAVI(Digital) input (Settop navigation), Rear camera Input, Front camera input. When connecting PAS-CAN, It outputs rear power automatically. Be possible connecting with OEM type front camera. * When you change the gear to ‘D’ from ‘P’ or ’R’ mode, switch automatically to front camera screen as much as you set timer(8, 10, 15 seconds). After, return to the previous screen. Provide the AV In/Out and Video1 Sound L R In. Full digital high-definition optimized for original monitor. 조금의 노이즈 용납하지 않습니다! 무선 와이파이 리시버 ‘APCAST’의 HDMI 출력을 다이렉트로 입력 받아 LVDS로 출력합니다. 현재 시장에서는 HDMI 출력이 가능한 디바이스들이 많이 있습니다. 폰 기종 을 가리지 않고 무선 미러링이 가능한 APCAST, 구글의 크롬캐스트, 각종 안드로이드 PC, 디빅스 등…이제는 HD-LINK을 이용하여 별도의 중간 과정 없이 직결하여 HD 스마트폰 미러링 구현이 가능합니다. 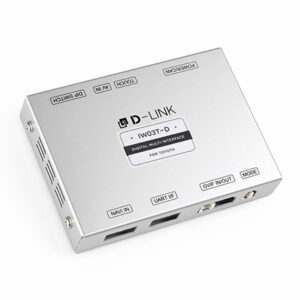 HDMI output of the APCAST(Wi-Fi receiver) -> HD-LINK -> LVDS output to the original monitor. 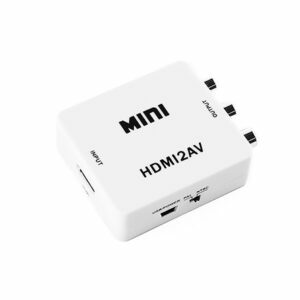 Direct connect the HDMI signal without RGB convert. Digital 출력을 지원하는 셋탑 박스의 고화질 신호를 별도의 변환없이 순정모니터로 직결하는 Digital to Digital 방식을 지원합니다. LVDS 입력을 통해 디지털 신호를 그대로 직결하기 때문에 화질의 저하없이 고화질로 셋탑박스의 사용이 가능합니다. 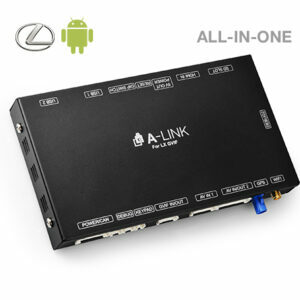 HDMI output of the Android Settop Box -> HD-LINK -> LVDS output to the original monitor. 주차를 좀 더 안전하고 쉽게 하기 위한 주차보조 시스템입니다. 핸들의 움직임과 연동되어 변형되는 가이드 라인(PGS)이 지원됩니다. 가이드 라인은 300프레임으로 끊기는 느낌없이 부드럽게 움직입니다.선명한 화질과 깔끔한 UI로 구현되는 Lexus의 주차보조 시스템입니다. * Implement the PGS(Parking Guide-Line System) with a rear camera. HD-LINK는 시중에 판매되는 다양한 전방 카메라나 어라운드 뷰 카메라와 연동하여 ‘P’ or ‘R’ 모드에서 ‘D’모드로 기어 변경 시 차량의 순정모니터에서 자동으로 전방 카메라의 영상을 출력합니다. 전환된 화면은 일정 시간 후 다시 순정으로 자동 복귀됩니다. 또한, 전환된 전방 화면의 유지시간은은 셋팅 화면에서 사용자가 임의로 조정이 가능하며, 기어 변경 없이 순정버튼을 이용하여 수시로 전방 카메라 영상을 확인할 수 있습니다. View the Front-Cam "Eieview MC5"
* When you change the gear to ‘D’ from ‘P’ or ’R’ mode, switch automatically to front camera screen as much as you set timer (8, 10, 15 seconds).After, return to the previous screen. * 180˚ Around Front-View Camera ‘Eieview MC5’ (Various view modes) – Panorama view (wide angle), Corner view (split), Top view. 가능하고, 기능의 On/Off 설정과 사용자 information까지 알차게 구성되어 있습니다. 쉽고 간단한 조작으로 간편하게 모든 Screen Mode를 사용환경에 맞게 셋팅하세요. * Control the color and brightness, location, size of the screen. 유저 셋팅 메뉴에 대한 자세한 내용은 제품 메뉴얼을 참고해주세요. For more information on the user setting menu, please refer to the product manual. IW-LR-N23 Interface Package 의 구성품입니다. 모드 진입은 각 차량의 순정버튼 & 조그 다이얼로~! Mode switching use the original button of vehicle.